Winter is almost here in Erie, and that mean’s it’s time to put on a few sweaters and leave off the thermostat to save money—right? Actually, you don’t have to take drastic measures to save big on energy this season. Have a digital thermostat? Have a working fireplace? 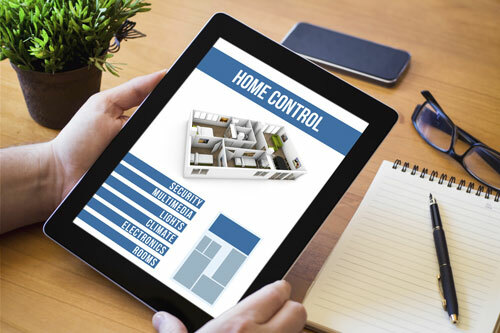 Whether your home in Erie comes with these helpful home features or not, you can follow our simple methods for saving money during Erie’s cooler months. So shed your three sweaters and turn up the thermostat a little! It’s time to find out which small adjustments can save you big on your energy bill. Most digital thermostats have the ability to be programmed to automatically adjust the temperature of your home by using the time of day and day of the week settings. By programming the settings, it takes on less thing off your plate before going to bed or leaving the house. I recommend setting your furnace to turn down a hour before bedtime, and kick it back up an hour before your morning alarm, then drop the temperature back down 10 minutes prior to leaving for work. This simple action can save you a lot of money—and will ensure that your house stays at a comfortable temperature at all times. This is one of my favorite items in my home! For around $50 you are able to purchase a super cozy electric throw blanket. On cold winter days, when I cannot get warm, I crank up my blanket (not my furnace), and relax with a good book. Blankets also come in larger sizes to accommodate various bed sizes, such as Full and Queen. By stopping at your favorite store and picking up new blinds and drapes that feature insulation, you will notice that pesky draft diminish. This is great if your bed or couch is located under a window! 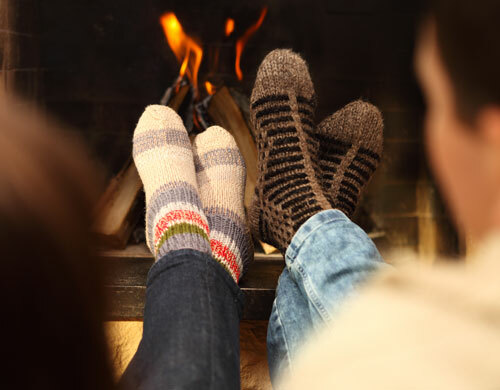 If your Erie home has a working fireplace, do not overlook its heating benefits. Lighting a fire is a great way to keep family room warm, without heating the rest of the unused home. Don’t have a fireplace? Spring for an electric fireplace entertainment system. It works similar to space heater, but is safer, and nicer to look at! Check your doors and windows for drafts and places where air might escape. Weatherizing windows and doors is a simple task that you can perform; your local home improvement warehouse will have all of the materials you need! Want to learn more about winter energy-saving tips? Contact me today and we can talk about other great energy-reducing tips (and where you can find your new electric blanket). Shanna is frequently tweeting about real estate opportunities and also posts current real estate listings and valuable information on her website (sellingerie.org), as well as on her Facebook page. While Shanna is interested and capable of handling any type of real estate transaction, her specialties include residential, first-time buyers and seller, as well as relocation. Awesome article, Shanna. Your useful tips help me a lot, I’m going to try them out with my home remodeling project. Thanks for sharing & have a nice day!